PiJava - Part 3: What is Java FX? 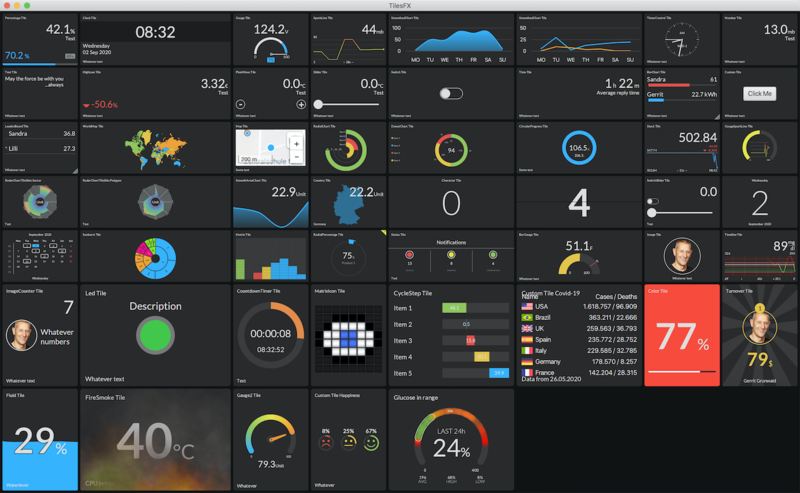 From the Oracle site: "JavaFX is a set of graphics and media packages that enables developers to design, create, test, debug, and deploy rich client applications that operate consistently across diverse platforms." JavaFX was originally created by Sun Microsystems, later became part of Oracle Corparation and is now an open source project on openjfx.io for which commercial support is available via GluonHQ. More info on Wikipedia. Why I like to use JavaFX? JavaFX allows you to quickly build a user interface while using the language and tools you already know as a Java developer. This can be styled with a CSS syntax and is very flexible and extendable. In the next blog I will explain how to build a basic JavaFX application for Java 11. After that we can install JavaFX dependencies on the PI and run this basic application...!